The Berlin Airlift Foundation was founded in 1988, to preserve the mission of the Berlin Airlift which operated between 1948 and 1949. The Berlin Airlift provided supplies to people in West Berlin, after the Soviet Union cut of all forms of travel into and out of the city on June 24, 1948, depriving people of necessary goods. The first American and British planes arrived in West Berlin on June 26, 1948 and provided nourishment and other necessities to 2 million citizens of West Berlin. They did this for almost a year. In total, “200,000 planes carried in more than two-and-a-half million tons of supplies”, to people in West Berlin. The foundation started with a Douglas C-54E Skymaster project, which they restored to flyable condition and display at airshows along the east coast. In 1996 the Berlin Airlift Foundation acquired a Boeing C-97G Stratofreighter, which they have been meticulously restoring since. In June of 2015 a huge milestone was reached when all four engines were run. At this point systems are being fine tuned and, its first flight should be taking place in the near future, adding a rare and unique warbird back to flying status. 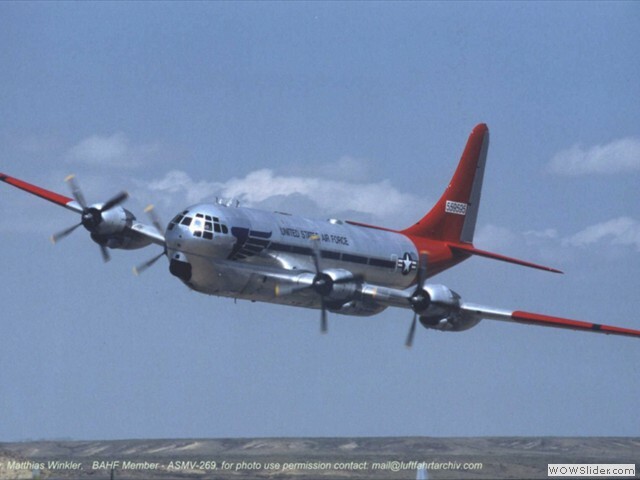 The Berlin Airlift Foundation said that they, “…plan to operate the “Angel of Deliverance” as a “flying museum, and classroom,”, in the same manner as we do with our Douglas C-54, “Spirit of Freedom”, We plan to tell the story of the Cold War, from the Berlin Airlift of 1948 to the fall of the Berlin Wall in 1989.” These events, “…will be represented as part of a timeline-oriented display throughout the fuselage of the aircraft. It will be augmented by artifacts, photographs, personal experiences, and it will be all be housed in the hull of a true Cold Warrior, a former KC-97. The KC-97 helped the USAF maintain a ’round the clock’ presence in the air by becoming the first real air-to-air refueler.” The Warbird Watcher will be standing by to provide coverage when the first flight takes place.